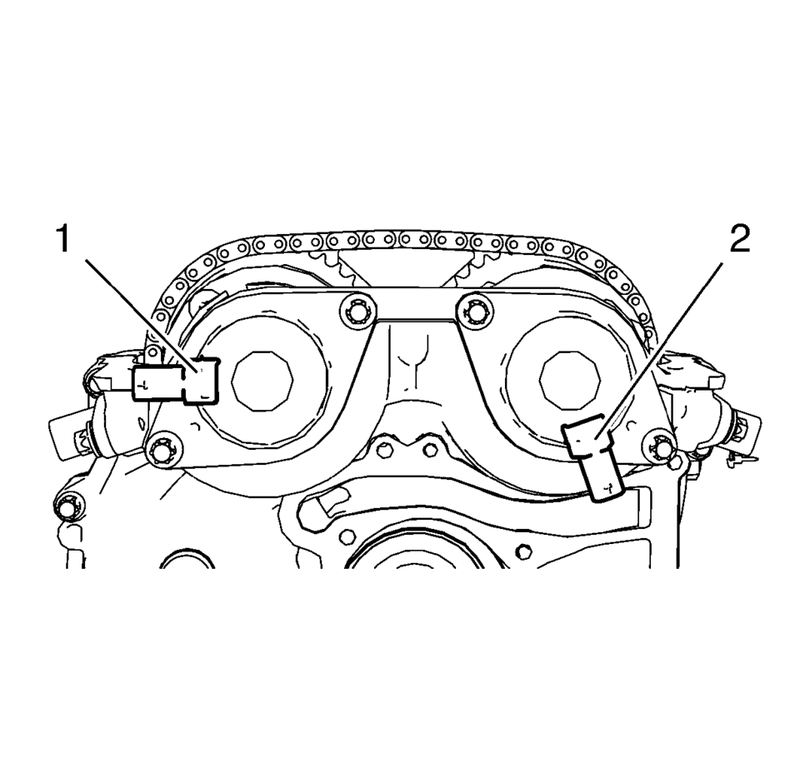 The camshaft position actuator solenoid valves must be kept parallel to the engine front cover during removal and installation. 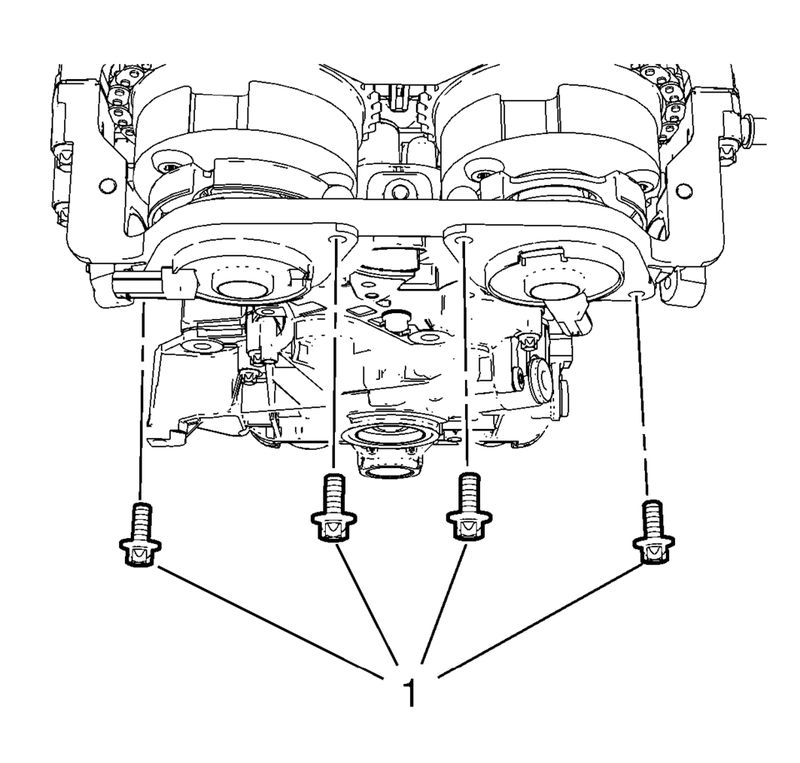 The camshaft position actuator solenoid valves can be damaged if they become wedged or stuck during this process. Install the 2 camshaft position actuator solenoid valves (2) and the 2 seal rings (1) by carefully and evenly pressing. 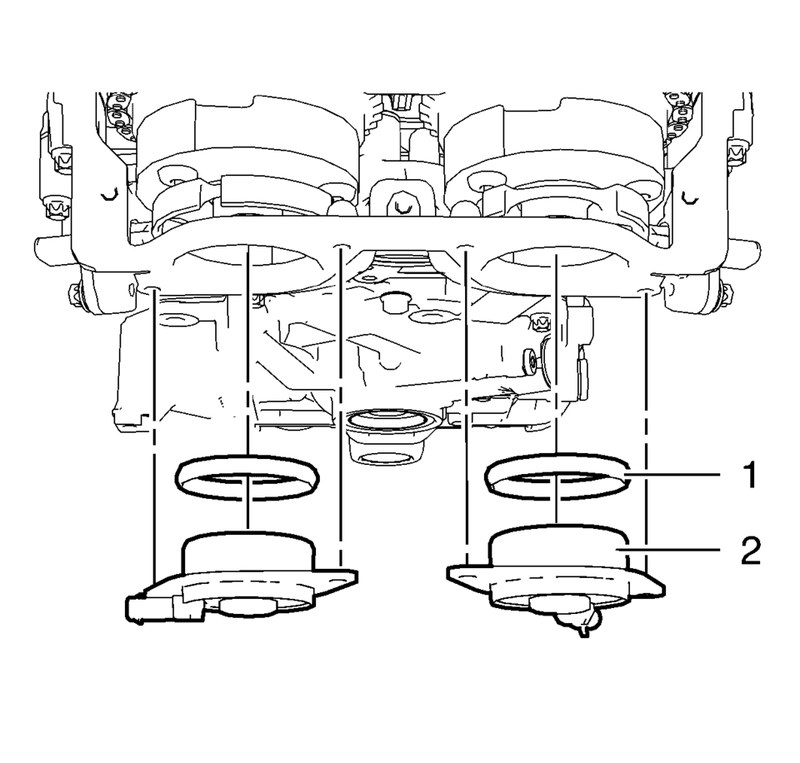 The 2 camshaft position actuator solenoid valves should be installed in the position as shown (1) and (2).